This may sound strange to say, since there are so many young pups in the watch writing business today, but I was there when Panerai launched. 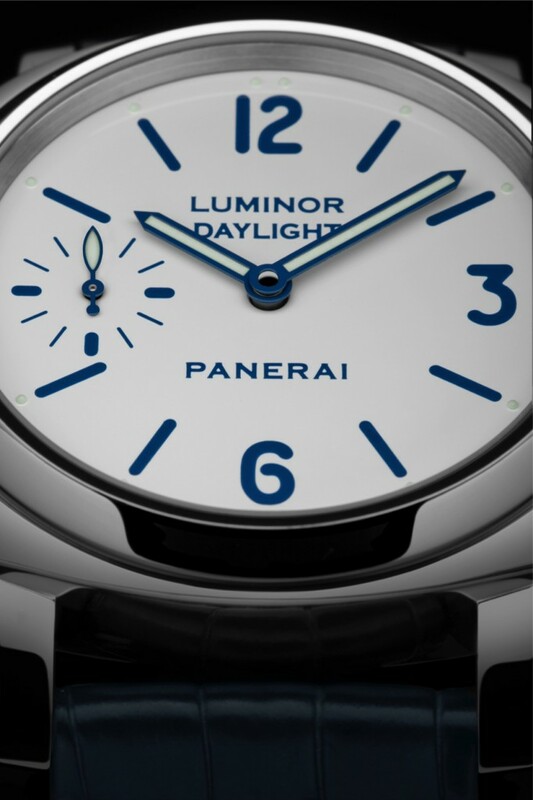 No, I don’t mean back in 1860 when Giovanni Panerai opened his watchmaker’s shop in Florence, but in 1993 when Officine Panerai (under the leadership of Angelo Bonati) unveiled its first modern-day collection of limited-edition watches (Luminor, Luminor Marina and Mare Nostrom) to the world. I remember when, four years later, the astute Vendome Group (today, Richemont Group) acquired the brand and began taking it to international levels. I have even been to Florence to see the original workshops and have spent many a long hour talking with Bonati about the direction Panerai has taken. 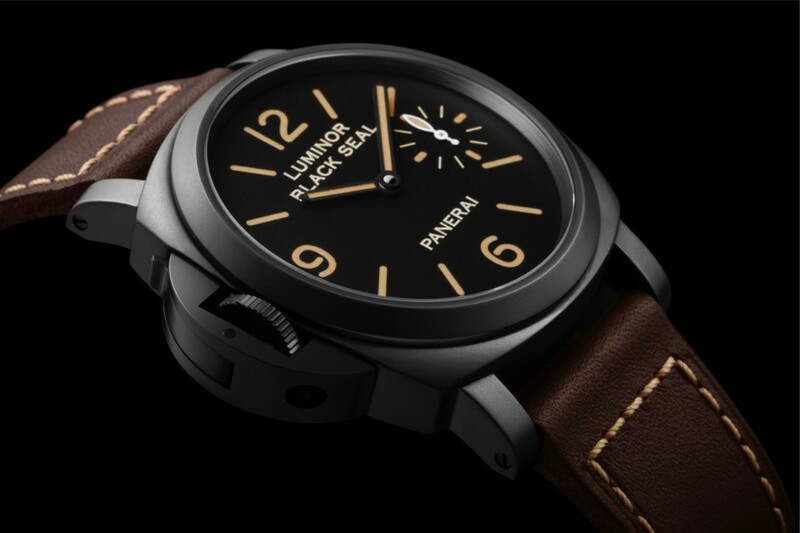 Known for its underwater abilities, its use by frogmen on manned torpedoes and its rich history, Panerai fast became an international sensation and the group of ultimate Panerai lovers formed their cult-like Paneristi frat. These guys practically eat, love, pray Panerai. For that reason, I know they are going to go crazy for the all-new Panerai PAM 786 Luminor 8 Day Box Set of watches that was just unveiled at SIHH 2016. 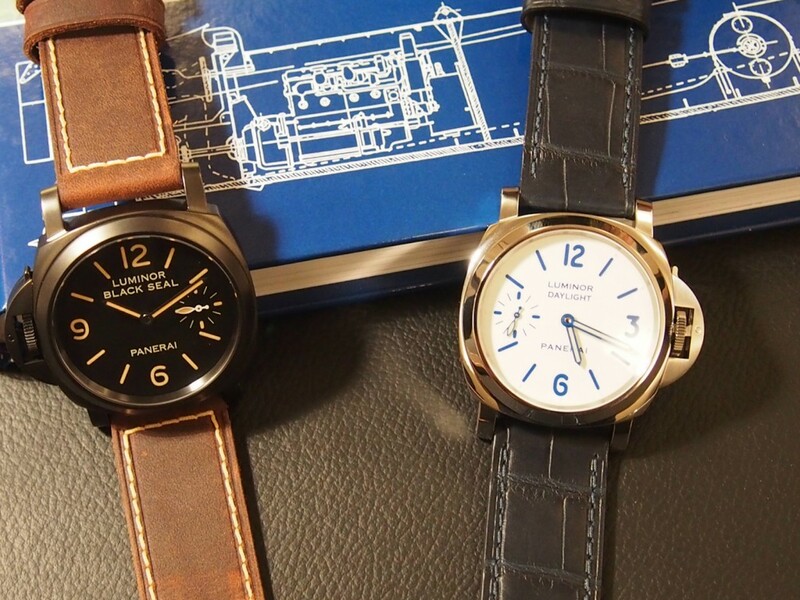 However, Panerai fans – you may want to try to get a set of your own first –before they are all sold out. 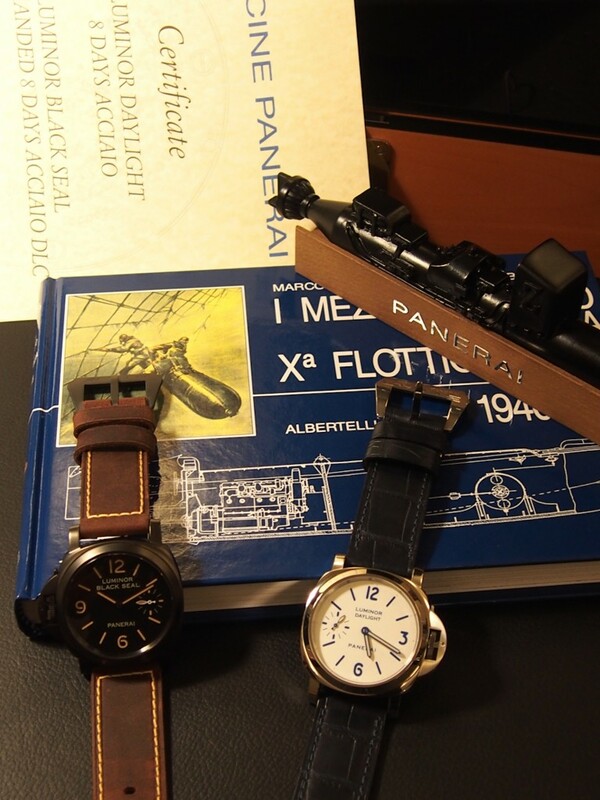 1 – Boxed Sets from Panerai are rare and they hold their value. 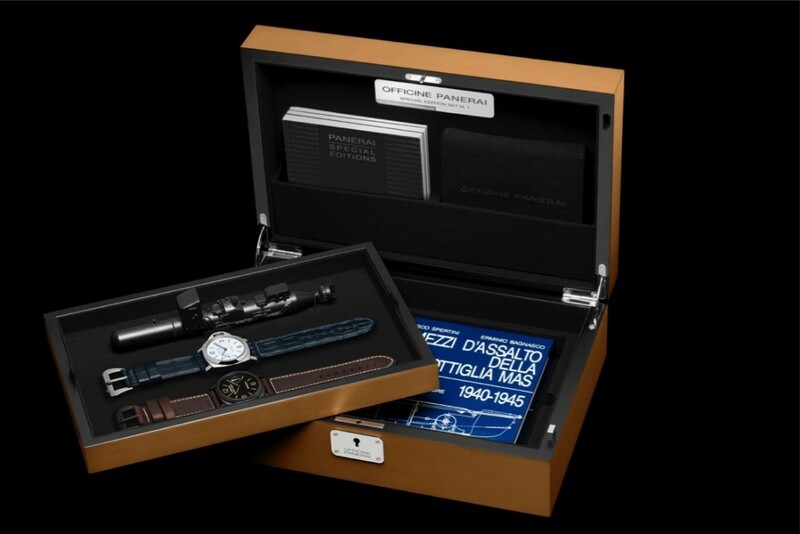 The first boxed set (PAM 785) was launched in 2014 and was an immediate success. This one, also with two watches, may easily be snapped up even faster than the last set. 2- Pre-Vendome/Sylvester Stallone, Design inspiration. Like the first set, this new set PAM 786, is inspired by early Pre-Vendome models. In fact, they take their design codes from a 1996 model. During that year, the brand made some small releases of Panerai watches that were commissioned by Sylvester Stallone (yes, I remember it well). The new box set models emulate watches that were originally created for him. 3 – Collectors Box/Goodies. The set is sold in a collector’s box made of pear wood on a teak base. It is sold complete with a model human torpedo and a rare book about the military equipment of the Special Forces of the Royal Italian Navy (Panerai’s roots). A signed certificate also accompanies it. 4- Two Great watches. If all of the above is not evidence of the overwhelming covetability this watch will have, the final crush is the watches themselves. We outline them below for you. PAM649 Luminor Black Seal Left Handed 8 Days Black Seal Destro. The two watches include the PAM649 Luminor Black Seal Left Handed 8 Days Black Seal Destro. It is almost exactly like the watch sold in the PAM785 set, except this Destro watch features the crown guard on the left side. Destro models date back to the 1940’s, when the watches were designed to be worn on the right hand because the frogmen wore their compass and depth gauge on the left hand. The Pam 649 stainless steel 44mm watch is DLC (Diamond Like Carbon) coated in a rich black finish. The dial and subdial, with painted numbers and baton indicators, are also finished in a black lume material for ultimate appeal and easy reading in the dark. In alluring contrast, the second watch in the set, the PAM650 Luminor Daylight 8 Days offers a bold white dial with intense blue numbers, hands and accents. A rare 1996 model, whose color combination was deleted from the line after the initial roll out, served as the inspiration for it. The new steel watch is finished with a blue alligator strap for tonal harmony. 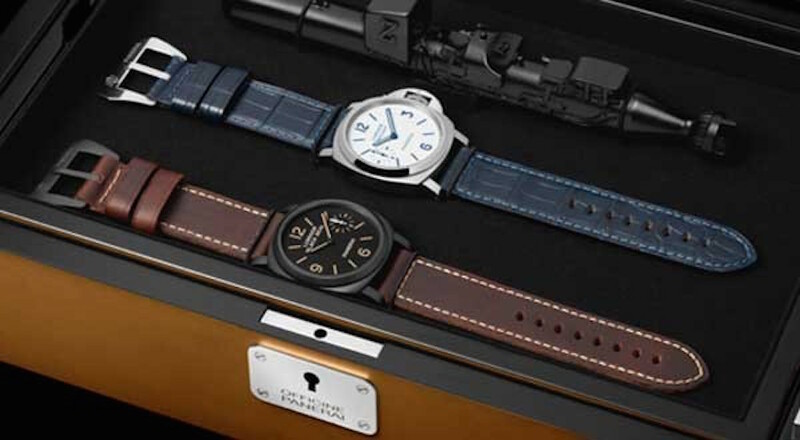 Both watches feature screw back cases engraved with the worlds “Officine Panerai Firenze” and the OP logo. Both are powered by the new hand wound in-house movement, the P.5000, with eight days of power reserve thanks to the twin barrel. The in-house made movement beats at 21,600 vph (3Hz) and is equipped with KIF anti-shock and features a Glucydur balance. The watches are water resistant up to 300 meters. If all of this isn’t enough, the set also comes equipped with an extra strap for each watch and the changing tool. Just 500 sets will be made – each retailing for $20,500. Just 500 sets will be made, each selling for $20,500. I never understood why navy seals who dive would wear a leather strap that could soak and get wet.